Mitsubishi currently has total of 10	car models in India. Mitsubishi Cars price starts from ₹ 4,00,000 . Click on the below images to see the details of each models. Mitsubishi Heavy-Industries was launched in the year 1870. Mitsubishi Motors came into being with the 'Mitsubishi Model-A' project in 1917. Till 1970 and after World war II, the company was split into three different companies. After 1970, Mitsubishi Motor Corporation came into being with an objective of concentrating solely on the automobile industry. Mitsubishi Motors Corporation started to specialize in passenger cars in the year 2003. MMC had branched over 30 countries as manufacturing units and it serves the markets of over 170 countries. Mitsubishi has partnered with Hindustan Motors and has put itself into the process of floating various new models amidst the Indian customers. Already Own a Mitsubishi Car? * Mitsubishi may not sell all the car listed here in all showrooms. 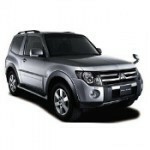 Price of Mitsubishi car listed here are dealer price only not the on road price of the car. Mitsubishi car pictures are for representation purpose only. 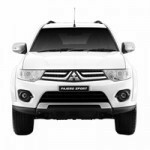 To book and know the on road price of any Mitsubishi car click the buy now button. I want to sell my second hand mitsubishi Lancer Lxd.,Model 2007, Chandigarh No. in just Rs. 3,50,000/- (negotiable). contact-9878664390. Anant, you may get only outer body for that price .. are you ok? hi i want to buy a second hand mitsubishi lancer in pune. My Budget is 1 lacks only..